How do you use your credit cards? Are you a responsible user? Do you pay off your balances each month? Or are credit cards a problem for you? If so, don’t feel alone. Millions of Americans have a problem managing their credit cards. In fact, I saw recently that 30 million Americans have credit that is under collection and you have to believe that the largest part of that is credit card debt. 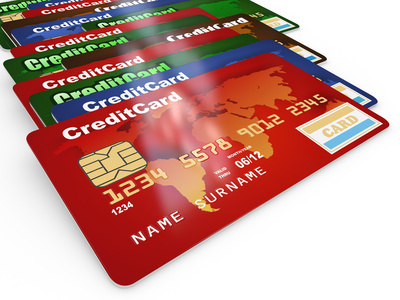 If you are a responsible credit card user, here is some interesting news. Of course, credit cards can give you rewards such as cash back and airline miles but, believe it or not, they can also help you boost your savings. This is because there are two credit cards available where you can make specific kinds of investments with your rewards. They are the Upromise World Master Card and Fidelity’s investment-reward cards. If you were to get the Upromise card, you can deposit your rewards directly into a high yield savings account or a 529 college savings plan. Fidelity’s cards give you a number of deposit options. For example you could deposit the rewards to individual retirement accounts, brokerage accounts, 529 plans and a number of others. There seem to be almost an infinite number of cards available that give you cash back, miles and other rewards. However, investment type cards can really be counted on one hand. This is sort of sad because experts say that they are really excellent products. Investment-savings cards can definitely help grow savings, particularly for younger people who have years to watch their investment-savings grow. However, they do have restrictions and rules. They are like rewards cards in that you can change a certain percentage of each purchase into points or cash. When you have accumulated a large enough amount of points, you can deposit your rewards into the investment account that you have connected to the card. Or you can get your rewards in the form of a check to deposit into an account that is not linked to your card or to spend however you wish. Fidelity cardholders can also use their points for gift certificates, travel and other merchandise. Upromise cardholders can use their rewards to help pay for student loans that came from Sallie Mae and can actually earn bigger rewards by shopping Fidelity’s online retail associates. You should be aware that there are differences between these cards and standard rewards cards. For example, you can use the money you earned through an investment- rewards card to fund an investment but an investment can decrease in value. In comparison, this rarely happens with a rewards card. Make sure you research these cards before you jump in. You will need to evaluate carefully the credit cards’ conditions and terms along with the investment products that are related to it. This means you should do some comparison shopping to make sure you’re actually getting a card that has low fees and a high performance. If you are one of the 30 million Americans who are in trouble with debt, we can help. Our debt consolidation providers have helped thousands of people become debt free in 24 to 48 months. In fact, we’re so sure we can help you become debt free in a reasonable amount of time that we offer a 100% satisfaction guarantee – if you are ever unsatisfied with our recommended debt relief programs you can cancel at anytime without any penalties or fees. Call our toll free number today to learn how debt consolidation could help you. Or fill in the form at the top of this page to start taking control of your debt.